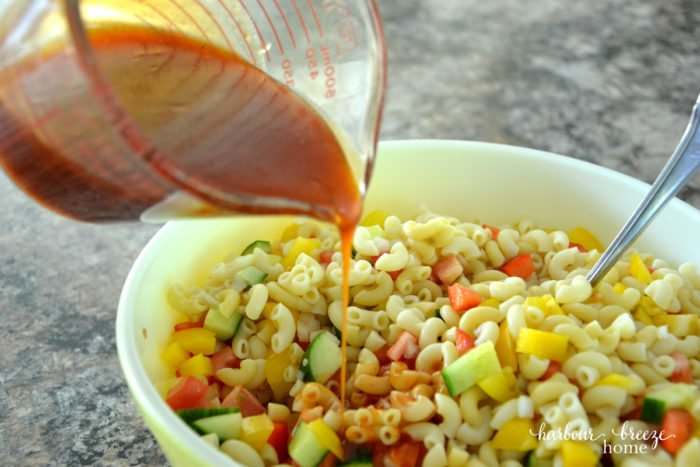 Summertime and macaroni salad just seem to go together, don’t you think? 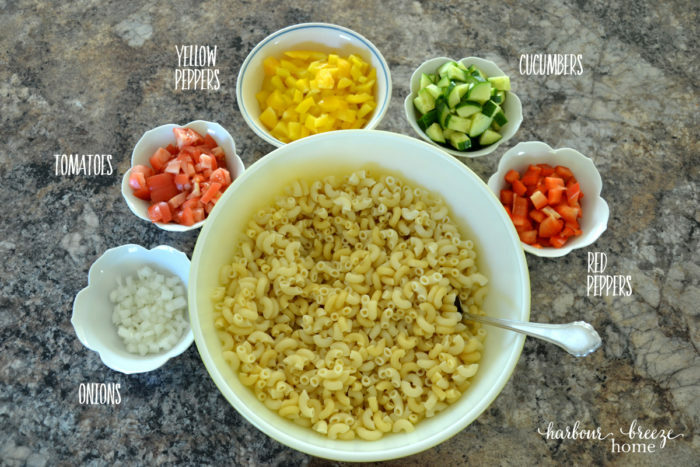 At some table around the world ~ at this very moment ~ there is most likely a family dinner, potluck, or picnic at the beach where this humble little side dish is making an appearance. My mom used to make a yummy version with a creamy dressing, ham cubes, and cheese. It was scrumptious. 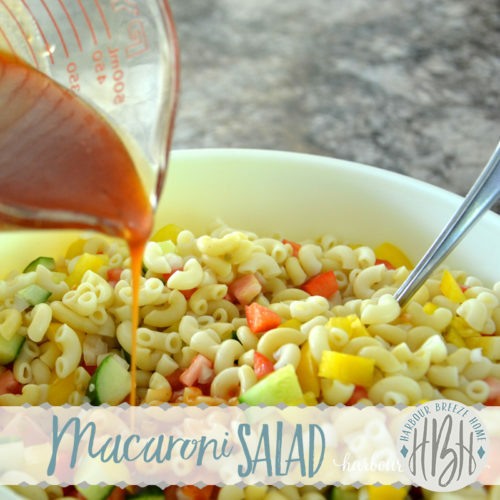 But a few years ago, a friend introduced us to a whole new twist on macaroni salad. We’re hooked. It includes lots of colorful and crisp veggies. The dressing. 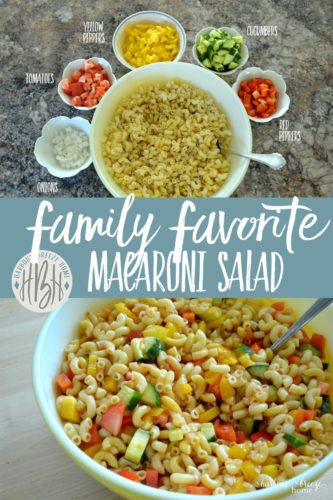 Its unexpected ingredients adds a taste that’s unique and makes the salad taste even better the next day! 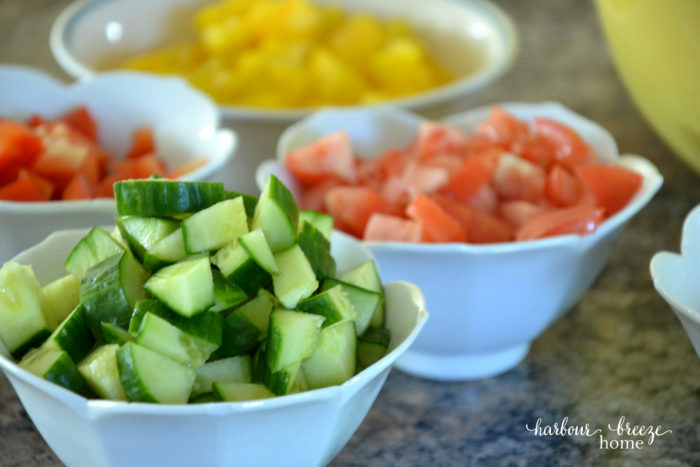 Like the Greek Salad recipe I shared a few weeks ago, this salad compliments anything done on the barbecue. Diced ham or grilled chicken can be added to it the next day to make a filling lunch. 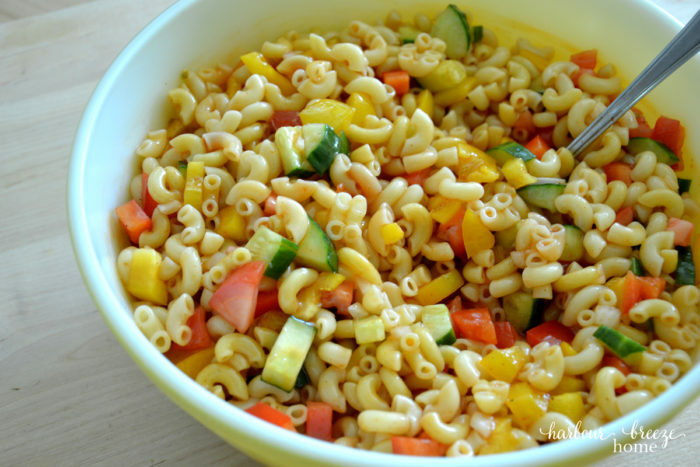 Stir diced vegetables into cooked and cooled macaroni. 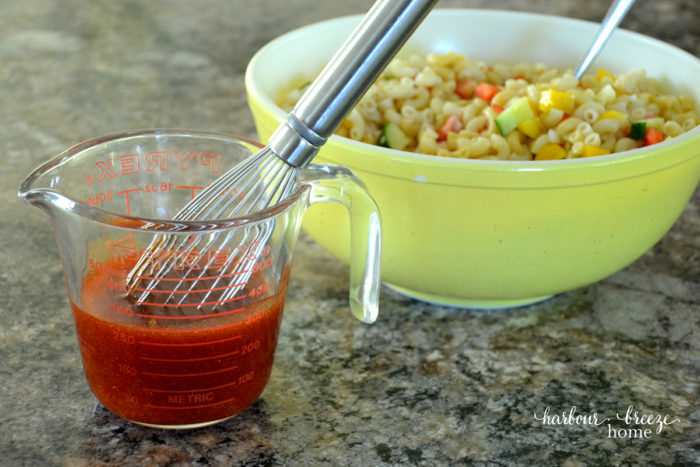 Whisk together dressing ingredients and pour over salad. Mix well. Cover and refrigerate until ready to use.